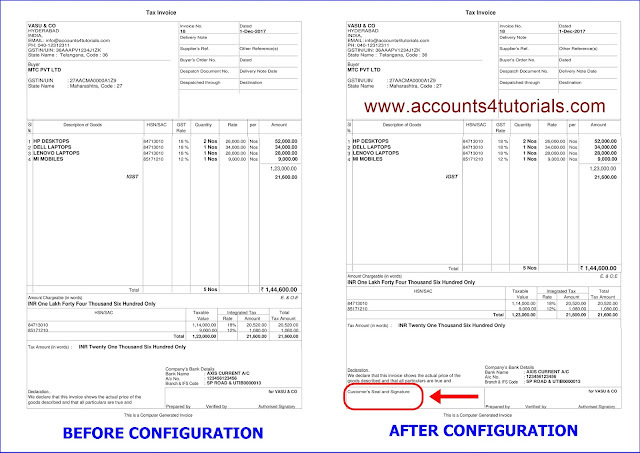 In this video, we will explain how to add Customers Seal and Signature in tally GST Invoice. This option is helpful to get a seal and signature from customers to proof of delivery. Now tally print your Customers Seal and Signature option in your GST invoice.